A new report published in Nature Climate Change postulates rising sea levels could displace millions of Americans, projecting figures substantially higher than previous estimates. The report submits that 4.2 million Americans may be affected if seas rise three feet; that number swells to 13.1 million if seas rise six feet. In the last 25 years, sea levels have steadily risen by an average of three inches, on track to total three feet in the better part of a century, according to NASA. These findings underscore the need for alternative housing in coastal areas. Abroad, developers have already taken steps to heed that call with amphibious homes that transition from dry land to water. 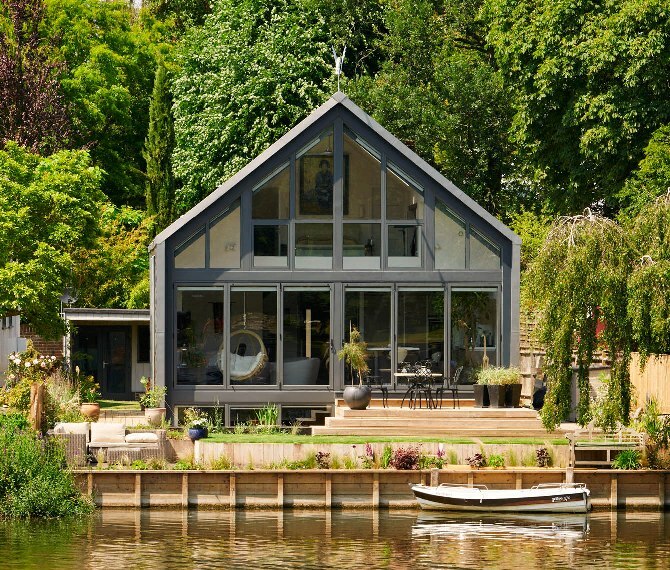 In England, architects recently designed an amphibious home that floats during flooding, much like a ship, and in the Netherlands, engineers have constructed an entire community of amphibious homes. Are these homes a viable option stateside? Areas along the Pacific embrace water-top living more now out of novelty than necessity--take the houseboats in Seattle, Wash., and Sausalito, Calif. One developer has constructed floating condominiums atop barges in the Mississippi "to offer a unique luxury lifestyle experience." According to the Nature Climate Change report, the majority of the at-risk population is in Florida, as well as other areas in the southeast, and millions in California, New Jersey and New York could be affected. All told, every state along the coasts will be impacted by rising sea levels. But if the U.S. faces a mass relocation effort, these forms of "aquatecture" may prove costly to construct--relocating 13.1 million people would cost $14 trillion, the report calculates. Compared to conventional builds, amphibious features alone can raise costs by 20 percent (so indicated by the Baca project), discounting the higher-end add-ons of the prototypes above. If waterfront living epitomizes luxury today, water-friendly homes would be their upscale counterpart in the future. 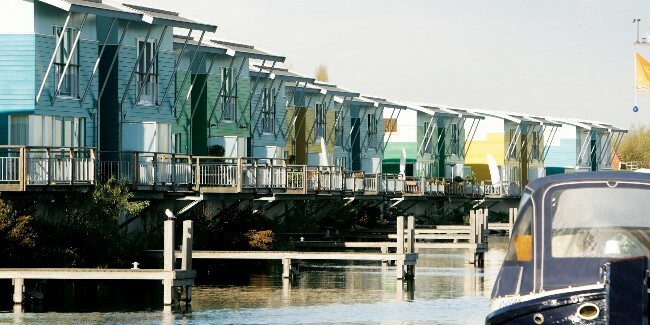 To that end, amphibious homes may be the solution--if they become affordable. Though the upshot of rising sea levels won't be felt in the near term, construction, and real estate as a result, will inevitably shift to accommodate it.